IFT were contracted by Brookfield Multiplex to install a rapid curing car park decking and line marking system to the new Glasgow Southern General Hospital to provide a colourful, crack bridging and waterproof structure. 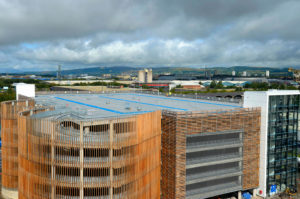 This £842 million building is the largest hospital campus in Europe. 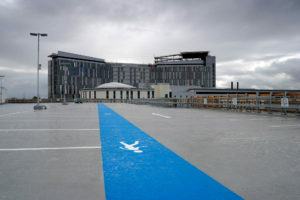 It opened in April 2015 and provides a 1,677 bed acute hospital, 256 bed children’s hospital and two major A&E departments. 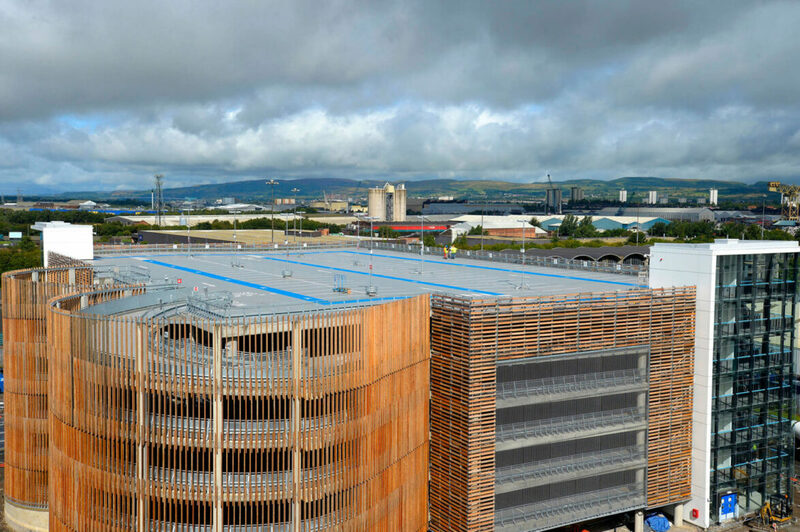 The 6 storey car park extends to over 18,000sqm and provides parking for 600 cars. 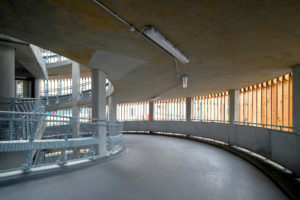 A Deckshield Rapide ED and ID system was installed throughout the car park incorporating a heavy duty system to the ramps and turning circles. 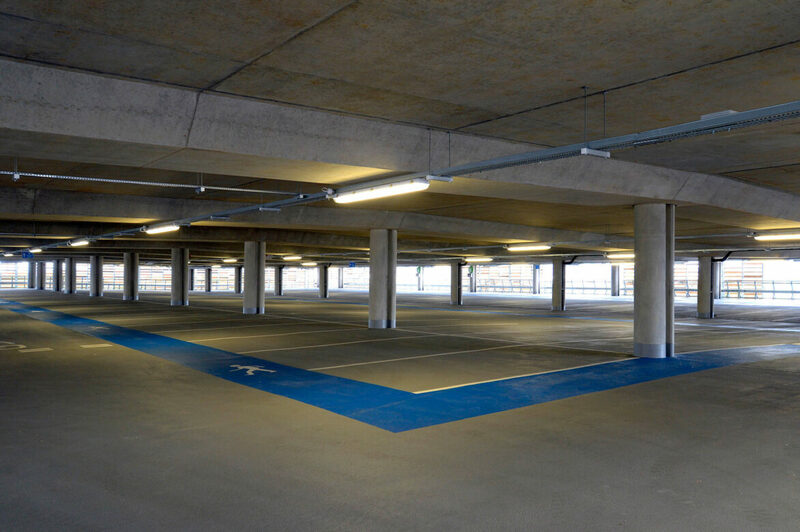 The principle benefits of this robust waterproofing system is that it can withstand heavy vehicular traffic under continuous use providing a seamless, colourful and visually appealing finish for an extended period of time. 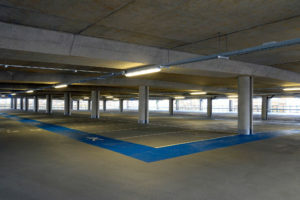 In addition a Deckshield Rapide ED floor will achieve a full traffic and chemical cure within 2-3 hours of application. 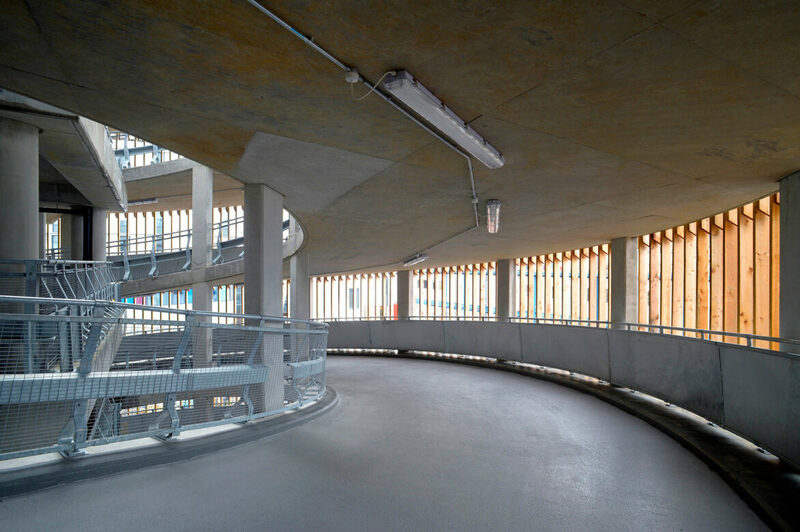 Our involvement in this project also included installing over 15,000sqm of resin coatings to the plant rooms, 4,200sqm of resin screeding to the AGV routes and 2,000sqm of levelling screed throughout the building. A project of this size and duration involved intensive management and supervision throughout. Brookfield Multiplex operate to extremely demanding H&S, Quality and Environmental standards which we met at every stage. We are delighted to have played our part in the construction of this iconic building.